Stacey Centarri never thought she would run one mile let alone 26. She definitely didn’t think she would run multiple marathons across the country. Centarri, OPPD’s wellness specialist, is walking the walk when it comes to leading a healthy life. 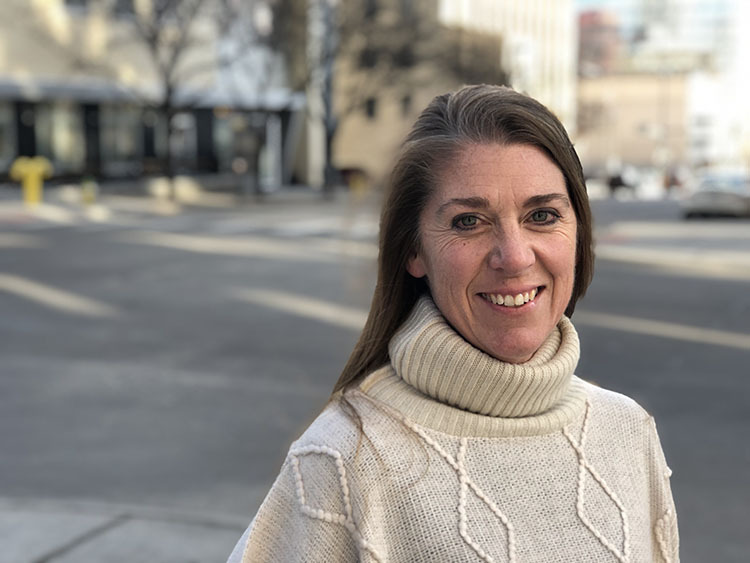 In her role, Centarri works with the utility’s Wellness Council to create a culture of well-being. This supports all employees to make healthy choices in their lives both at work and at home. “My goal is to provide employees with every opportunity to be the best version of themselves at work and at home,” she said. Centarri with her family, from left, son Michael, husband Mike, and twin daughters Abby and Alexis. Centarri’s own journey to wellness began 12 years ago when she shed more than 50 pounds and took control of her own health. She became a certified fitness trainer, including multiple certifications for disciplines such as Pilates, kettle bell, cycle, silver sneakers, yoga and barre. Her own journey has spilled over into a passion to help others. Part of that has been her work, along with Human Capital, to implement the emPOWERed U Whole Self Series for employees. The program provides employees with an opportunity to learn how to bring their whole self to work. The first session brought together 22 employees to discuss communication tips, conflict resolution, public speaking and mindfulness. Centarri said she’s looking forward to the series continuing in 2019. These types of programs for employees ultimately benefit OPPD customers, she said. By providing employees with opportunities to be safe, healthy and well allows them to provide the best service to the community and customers. 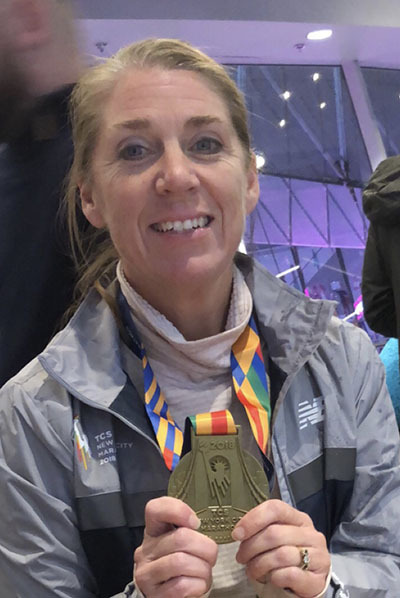 Centarri with her medal from the New York City marathon in 2018. 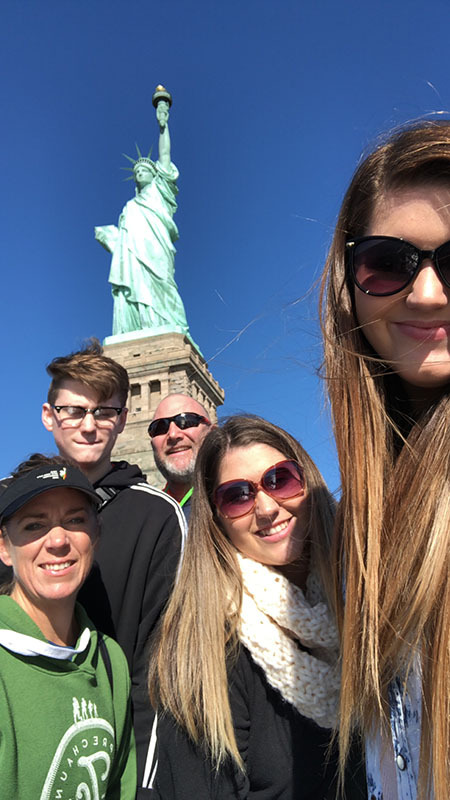 In 2018, Centarri checked off an item on her own bucket list when she ran the New York City marathon. It was not her first nor will it be her last. Centarri discovered a love for running during her own fitness journey. “Growing up, I was a dancer, didn’t play team sports, and to be honest, disliked running,” she said. Now, she runs at least three times per week and has completed 13 full marathons. Those marathons have included the New York City marathon along with Chicago, Disney Goofy, Marine Corp, Big Sur and others. Her love of running has grown so much, she has made it a personal goal to run in every state. The NYC marathon was truly a bucket list item for Centarri. She completed it in November, 2018. The marathon is the largest in the world with 53,000 runners and more than 250,000 spectators from all over the world. Centarri said she was especially thankful to have the support of her family at the event. Her husband, and biggest supporter, Mike went to cheer her on along with her twin daughters and teenage son. 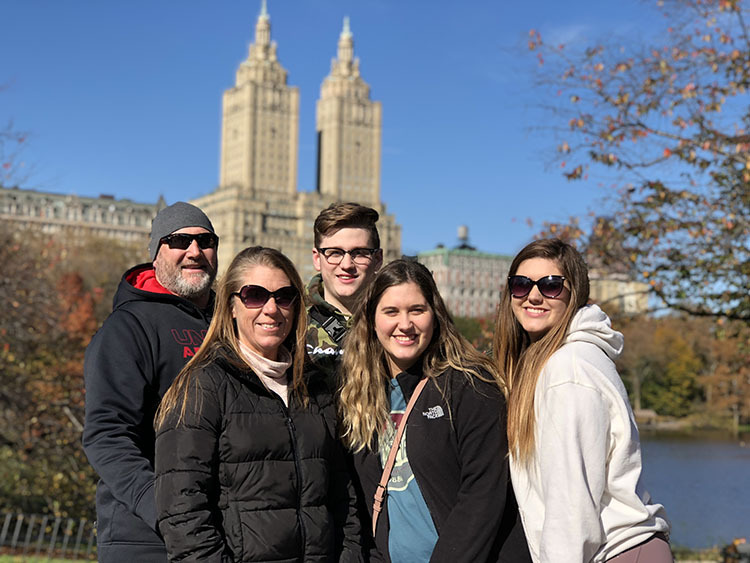 Centarri with her family in New York City last year.